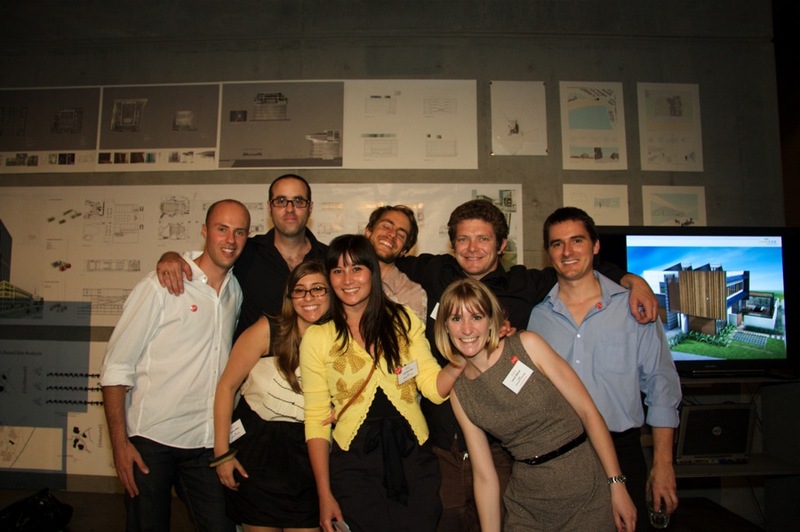 As part of their final year studio, students from the graduating year of UNSW Master of Architecture 2010 explored different aspects of architectural investigation. 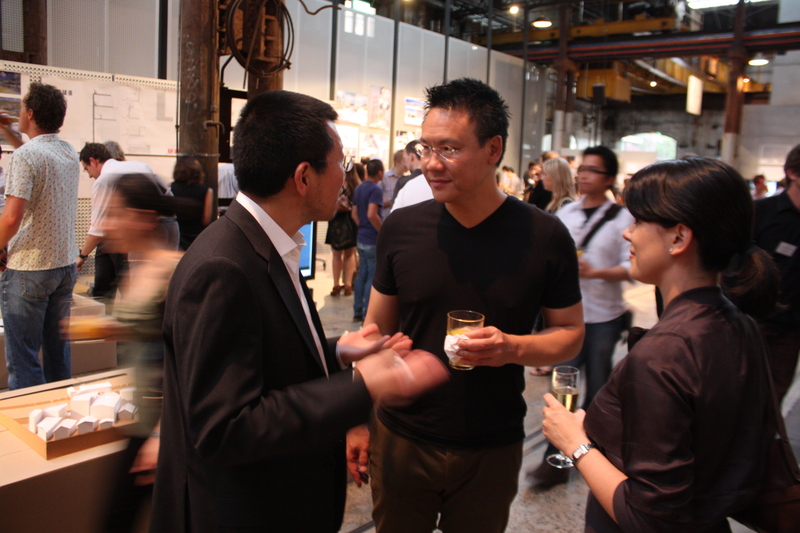 Simon Chan was part of a group that worked on visualising infrastructure as architecture through the re-conception of a train station. He reflects below on his project titled “The University of Sydney Station – a proposal to resolve the congestion problem at the existing Redfern Train station”. The location of the existing Redfern Station is a traffic knot, caused by the conflagration of pedestrian, vehicle, commuters and cyclists traffic, this troublesome situation is compelling for a major change, with the consideration of both Sydney University expansion into North Eveleigh in 2020 and the future development of Australian Technology Park. A new station is proposed to resolve these flows. The new station is inserted at the heart of the future university site and ATP,aligning with Codrington Street which belongs to the university, with the other end pointing directly to the Channel 7 office, an office which house up to 2000 staff members. As the result McDonalds Town Station is demolished allowing a more even coverage of station that currently does not exist. The project consists of two bridge buildings linked by an open pedestrian bridge; each bridge contains its own program. The first bridge contains the train station and an accessible roof, with gallery space and a nightclub, access via a ramp that is open before and after the train operates. The choice of program is a protest against the current timetable system of train operation, and the mixing of activities that have previously been perceived as incompatible. The second bridge is the University Learning hub, containing small collections of books and digital media, reading rooms, classrooms and lecture theatre, allowing both individual and collective uses. The new University of Sydney Station becomes a place to stop, to contemplate, to listen and see, to rest and refresh, to talk and exchange, with the presence of movements and unpredictable events. For a full explanation of Simon’s project including images, please click here. I must admit, coming to Korea has been one of the biggest transformations to date. 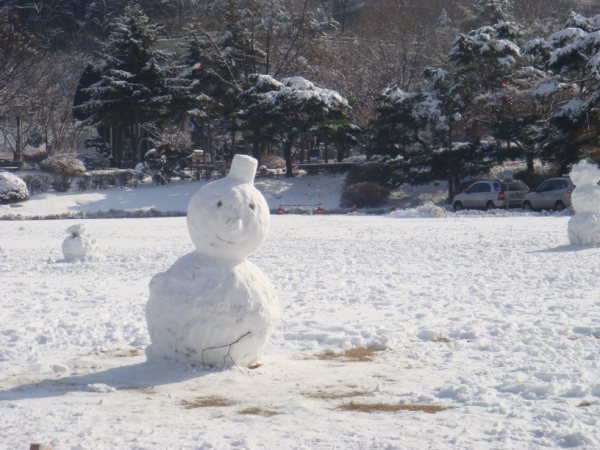 Last month in Seoul was the coldest in 100 years and this month was the worst in 40 years, crazy stats. It wasn’t all weather though. Coming to a new country, new university, new home, have all contributed to a brand new experience. Apartment living is the norm here, where house means apartment. 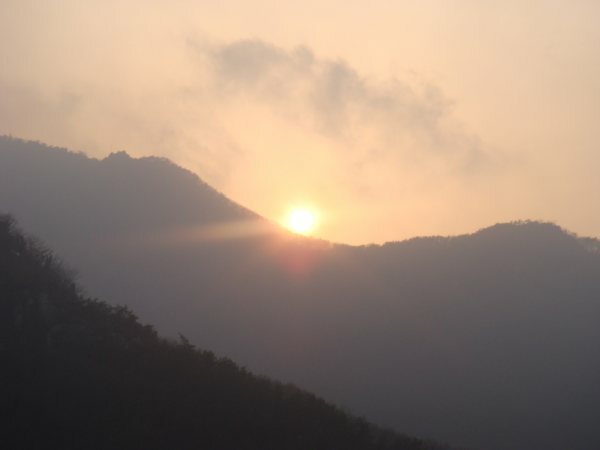 I live on the 11th floor at the southern part of Seoul, a metropolitan city that is divided by a long river (Han river) that stretches east to west, out onto the Yellow Sea. The house is obviously smaller than what I had back in Pymble, no corridors, no rumpus, no separate dining room, smaller kitchen and smaller room; but I seemingly had no problems at all adjusting to my new home. The fact that I no longer have my brother next to me probably played a big factor in adapting to a smaller house. He is back in Sydney, working during the day and doing the masters program at night. 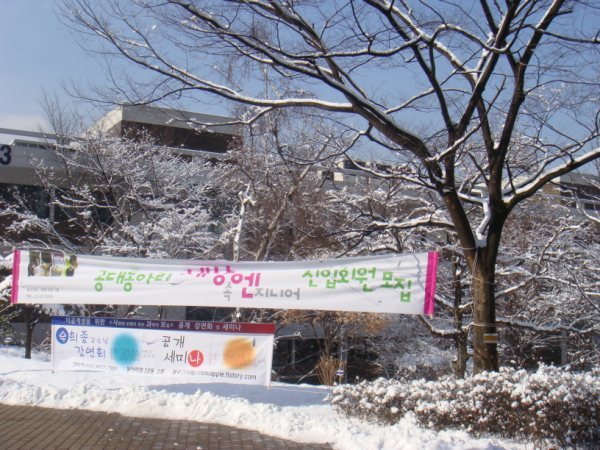 The masters program in architecture at Seoul National University requires students to be at the university every working day from 10am till 6pm. It is very rare for me to leave at 6pm due to ongoing projects that I am part of. With regular seminars and design studio finishing late, I would get home around 10-11 most nights. 10 academics majoring in architecture each have their own research lab with distinct specialisations; architectural design, history and theory, Korean traditional architecture, environmental sustainability, urban design, architectural urban space and so on. I applied for a professor who runs the research lab called ‘Lab for Architectural Urban Space‘. The lab has 20 researchers including masters and PhD students and is the second biggest lab in terms of research works and members. 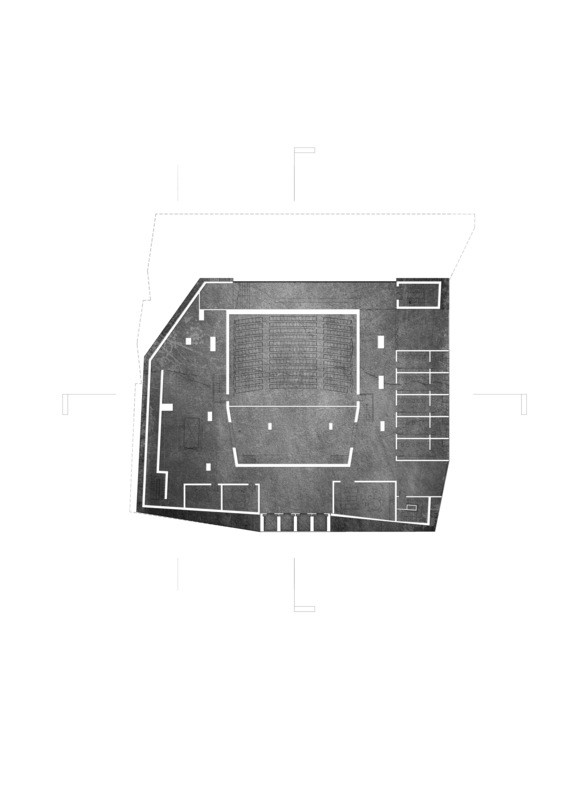 The lab was established in 1999 and conducts researches into spatial analysis, interpretation of architectural and urban space from social and cultural perspectives, and design and maintenance of educational facilities. I’m only touching the surface at this stage; using the visual access and exposure model to analyse different types of space, learning to read and understand axial maps and so on. 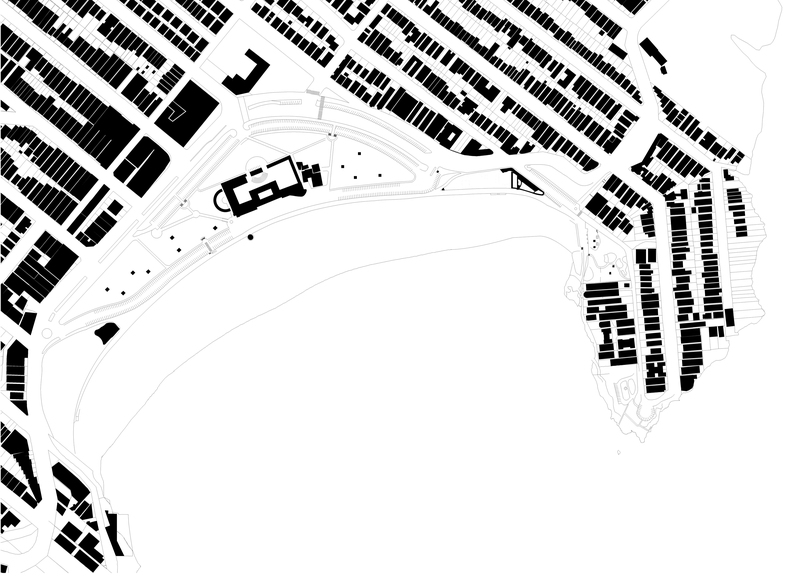 Looking into a more quantitative side of analysis into architecture and urban design is interesting also. In all, the masters program, for me, consists of 3 separate works. First are the courses that I have to take each semester, as I have done throughout my time at UNSW. This includes a design studio, and two other faculty electives. Second is a study that I have to do on my own, related to space syntax, as well as other researches related to the field. The outcome of this study is a written thesis at the end of the program. Third work is what I have spent most of my time on since I started the semester. It’s essentially carrying out the projects that my professor gets, as a team. There are 5 different projects running at the moment, and my team was allocated to work on organising an international design competition for a new social housing complex in Seoul. 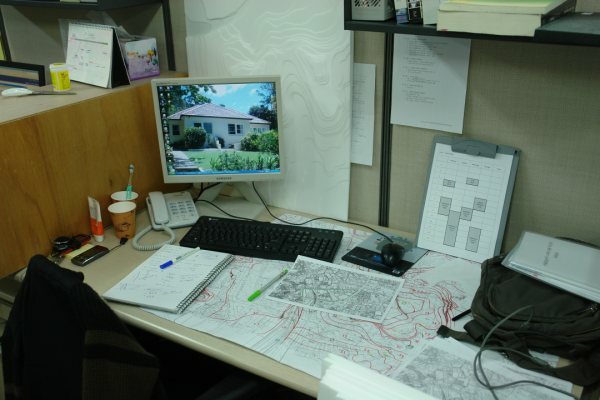 Some projects that the lab gets relate to the realm of spatial analysis and some don’t. This project obviously has no relation as it is about starting up the competition, organising briefs, setting guidelines, hosting design presentations, inviting external jurors, participants and so on. The project is in collaboration with the government so the load is not as heavy as it sounds. As the only member of the lab to speak decent English, my main role is to translate the competition documents, organise QnA sessions, and communicate with overseas jurors and participants through mail and phone. As well as the domestic competitors, overseas participants for this competition are Riken Yamamoto from Japan, Architekten Cie and MVRDV from the Netherlands. I have had quite a few experiences working part time back in Sydney, but working on something of this magnitude is definitely new and exciting. 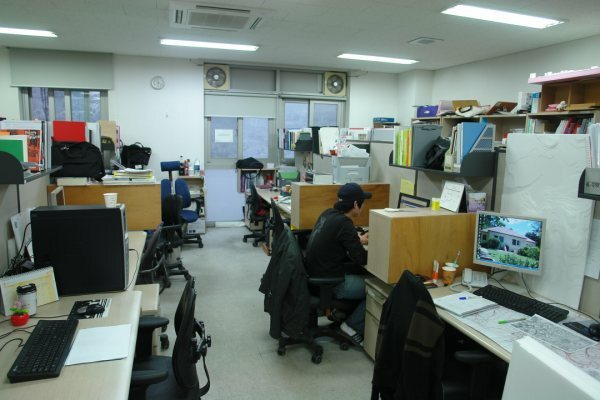 The work is fun as I get a chance to practice my Korean, and get paid for it at the same time!! It’s not a lot, but enough to make up a big portion of my university fee. I am looking forward to working on other projects later on that would especially help my portfolio. One thing I was quite surprised at was the amount of exposure that this university gets from overseas. I was going through some of the projects conducted by this lab previously and came across Jon Lang’s profile. He was here last year as an external panel for another housing competition in Korea. 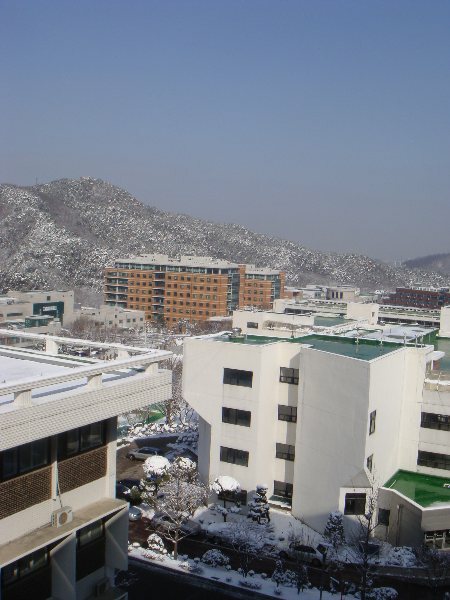 Last week I was asked by the Korean Architectural Accrediting Board to go to the airport to greet Paul Berkemeier who arrived here few days ago to oversee the architectural education system as well as the accrediting board. I knew him as an architect but didn’t realise he taught at UNSW, so I was pleasantly surprised. We had a long chat from the airport to the hotel where I was supposed to check him in and it was great fun. It has been a while since I spoke to someone who can speak Australian, and not in broken American accent which seems to be the norm here so thumbs up! 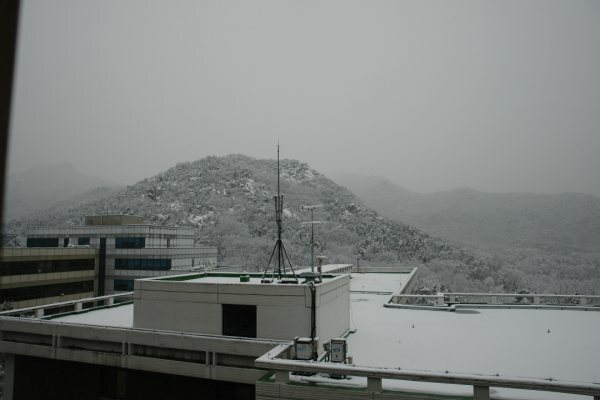 The photos I attached are of Seoul National University, which is situated on a mountain within the metropolitan. 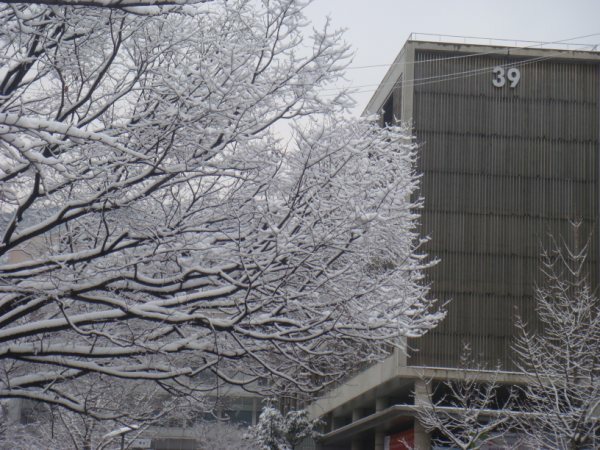 Department of Architecture (building 39), which as part of the engineering faculty, is situated on the higher part of the mountain so it’s chillier than downtown Seoul, but has great scenery and better air quality. 🙂 You can see my lab and the desktop image on my computer which shows how much I miss home, despite all the fun I’m having here. Over the last summer break, I engaged myself with a 4 week intensive design studio. The purpose for undertaking the elective was to put my research findings from my last year’s Honours dissertation into experimentation (a process also known as research through design). The brief was very open. 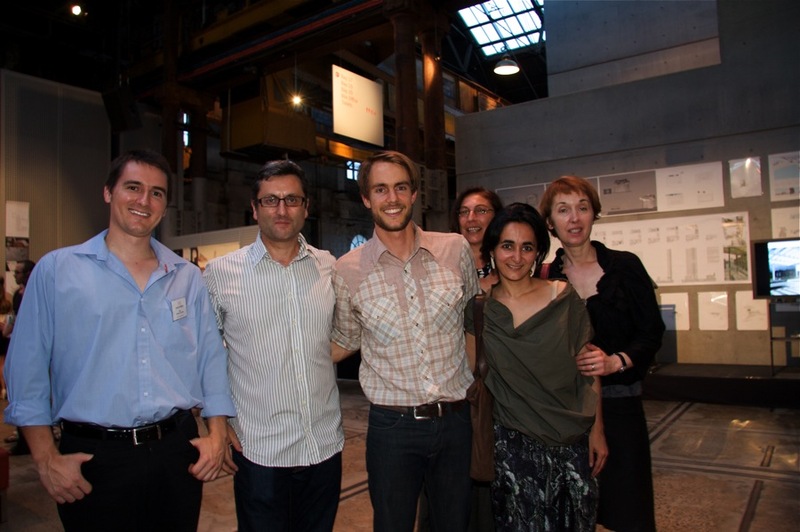 It asked us to design a pavilion for the Sydney Biennale 2010. I chose a derelict military guardhouse from the 1800s on Cockatoo island as my site. 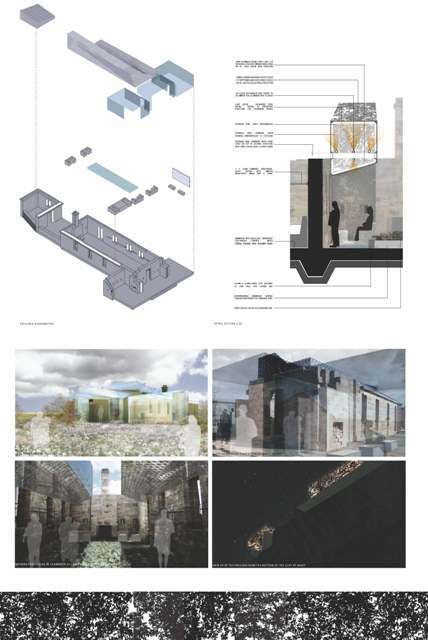 Through this design, I explored how an architectural intervention has the capacity to address cultural history, notions of collective memory and memorialisation. The outcome was a landscape intervention of the ruins, celebrating the original geographical conditions of the island and works of the penal settlement. This is also achieved through the sculptural roof that interacts with the macro-climate, inducing experiences that recalls the ghost of the island’s natural landscape. 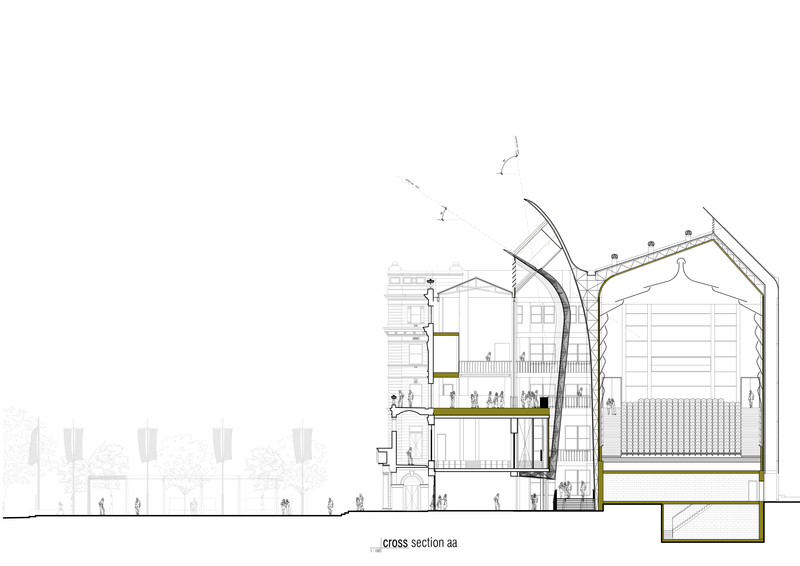 I think this scheme is interesting in that the intervention is also a memorial, which is a form of public art. This demonstrates the capacity of architecture as public art while being a container of art. 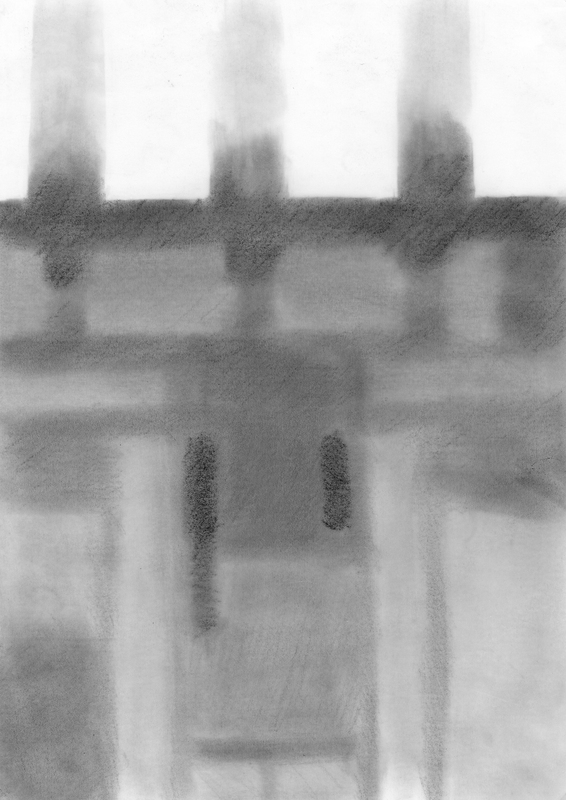 I am planning to further explore these architectural issues in the my Masters studies. Claude Levi-Strauss, Tristes Tropiques, Penquin Books, 1976, p.155; first published in French by Librairie Pion, 1955. 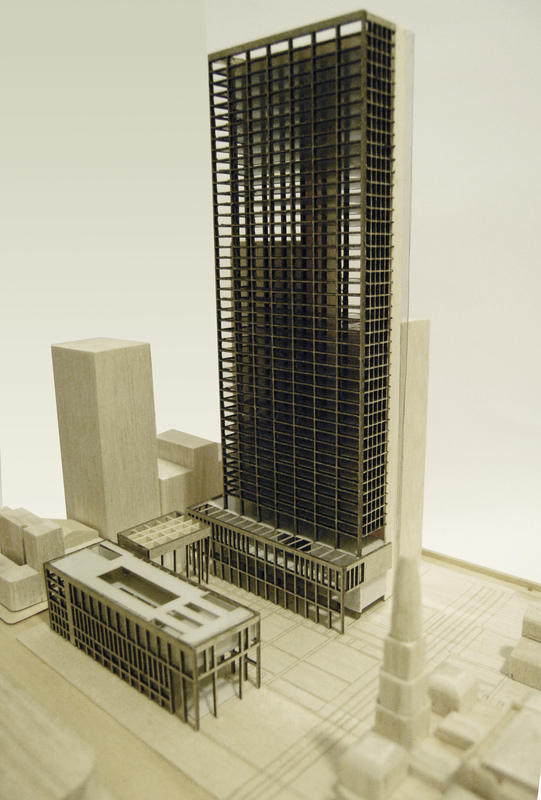 This studio examined the complex relationship between a work of architecture and the city. 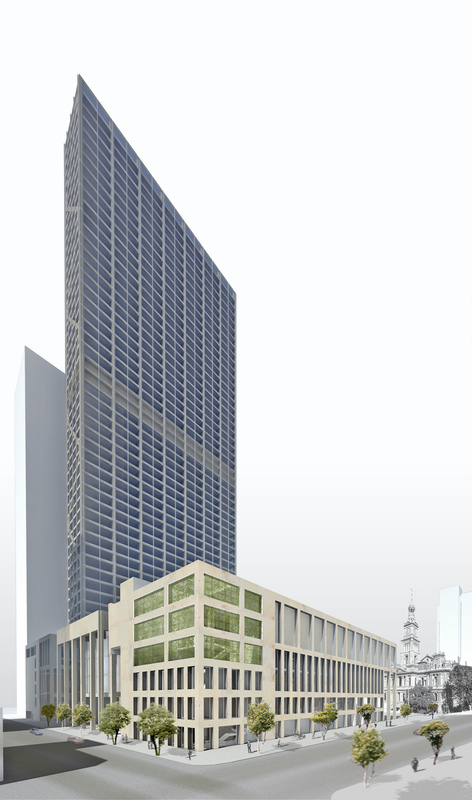 The site was at the heart of the City of Sydney, opposite the existing Town Hall at the intersection of George and Park Streets. 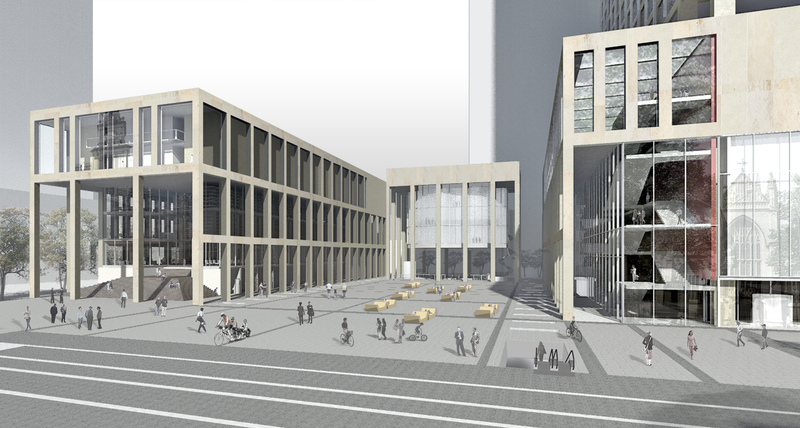 Council intends to construct a new square with associated public facilities, commercial and retail spaces and connections to the proposed Metro station. This intense and vibrant new place will become a focus for civic life in Sydney. The students designed a work of contemporary architecture and public space that provided a revitalising addition for the city: recent examples of such projects in Australia include CH2 and Federation Square in Melbournce, or Brisbane Square. In the first semester research was conducted to provide an understanding of the interrelationship between the city, public space and works of architecture. Questions of siting, character, scale, representation, obsolescence and change were examined to help inform students’ understanding of urban projects and the architecture of the city. The development over time of public city space; such as Wynyard Square, Martin Place, Hyde Park, and Sydney Square; was studied in detail and redrawn in order to understand their origin and development. Students were guided in their research using primary sources and in their selection of appropriate representational techniques. A series of parallel lectures demonstrated concepts and examples of city formation, analysing Sydney as a case study. 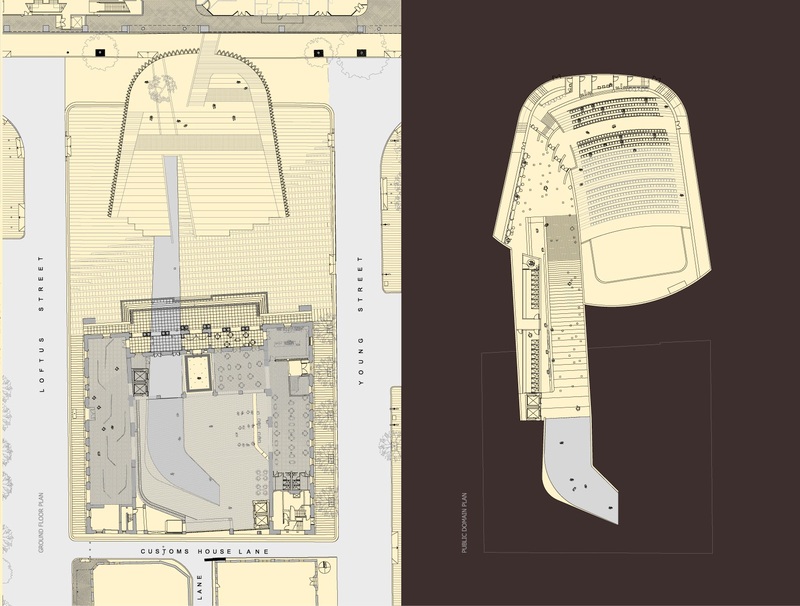 In parallel with the Sydney study, international examples of contemporary public buildings were also investigated by students, redrawing and modeling to analyse architectural qualities and better understanding issues of scale, program, material and construction. 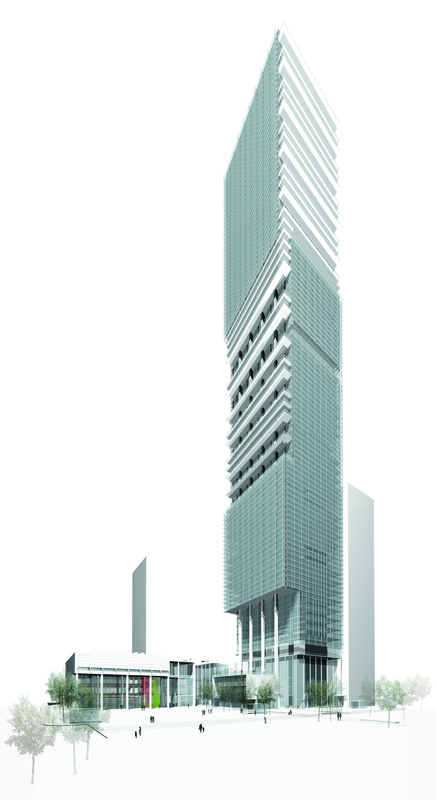 The extent of the site and brief were defined with input from the City of Sydney. 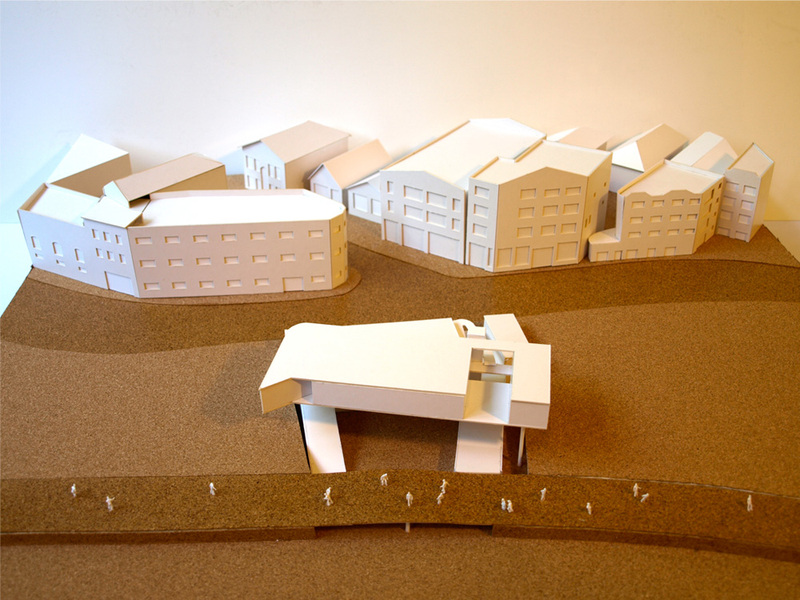 Students’ proposed site strategies formed the basis for detailed design development during the second semester (2009). Peter John Cantrill and Philip Thalis are directors at Tzannes Associates and Hill Thalis Architecture and Urban Design respectively. Both of their projects have received many prestigious architecture and industry awards. 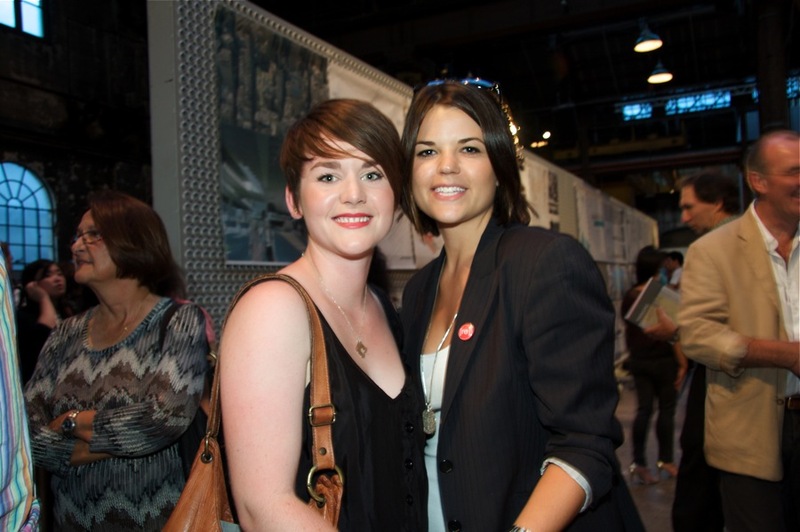 Both have taught design at the University of Sydney and for over 13 years as lecturers at the University of Technology, Sydney. 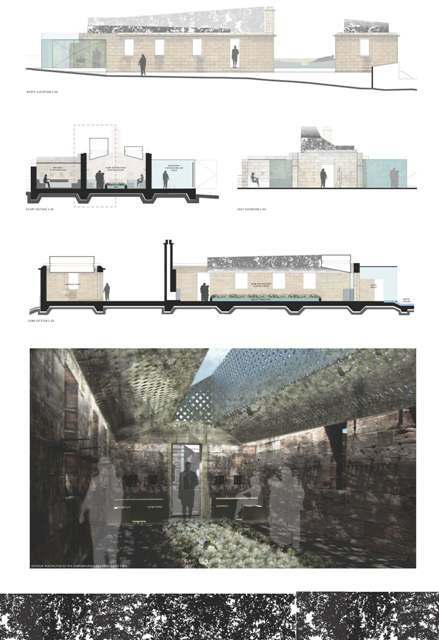 This program drew on architectural strategies developed by Candelepas associates in their practice. 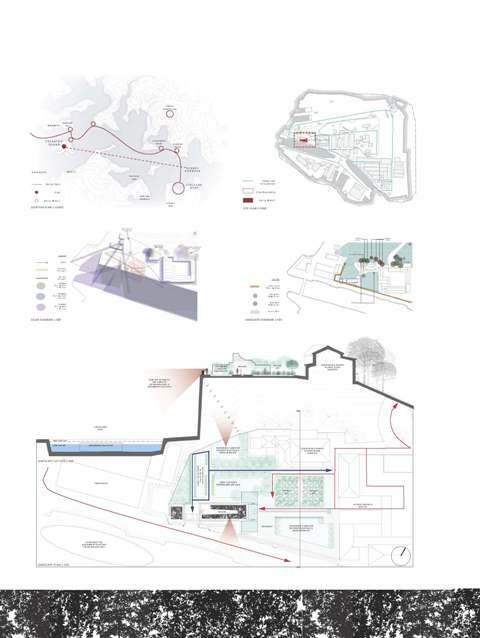 The studio supported students in their analysis and evaluation of the city with close study of a site in the vicinity of Customs House and its environs. 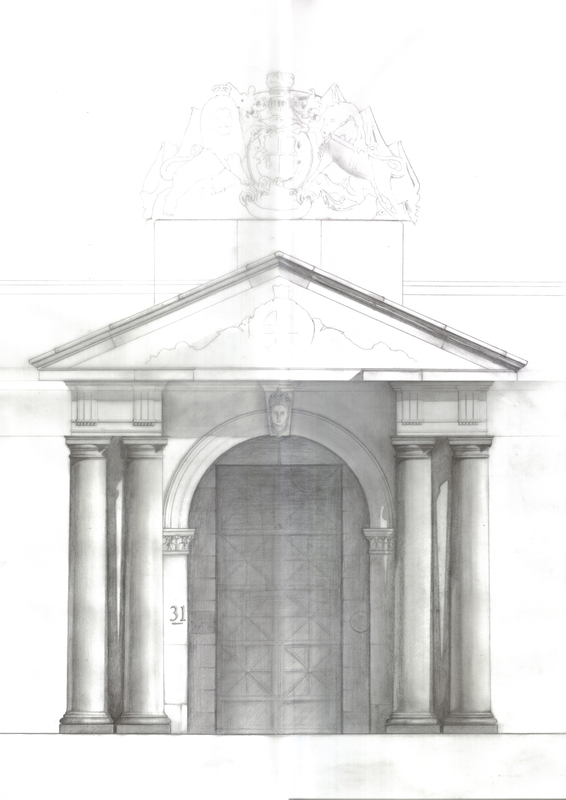 This process prepared students in their development of individual proposals for the site in the vicinity of Customs House and for the purposes of a cultural use. 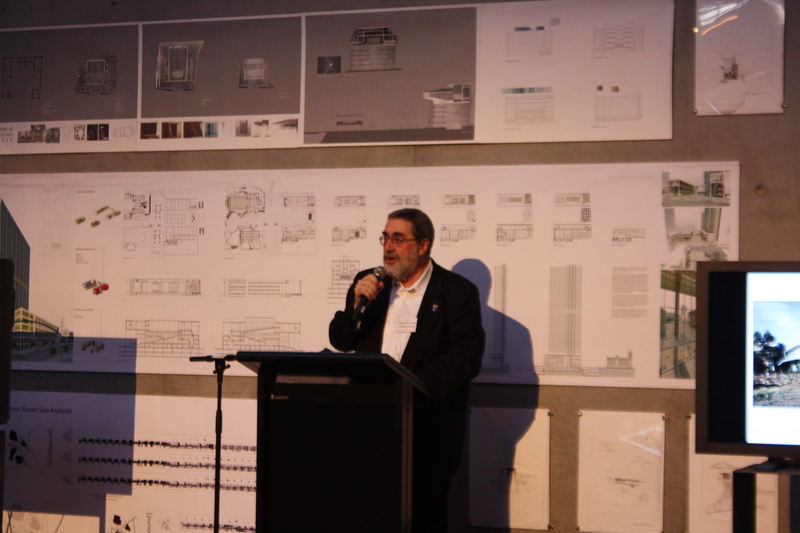 Angelo Candalepas runs a well known medium sized architectural practice in Sydney. 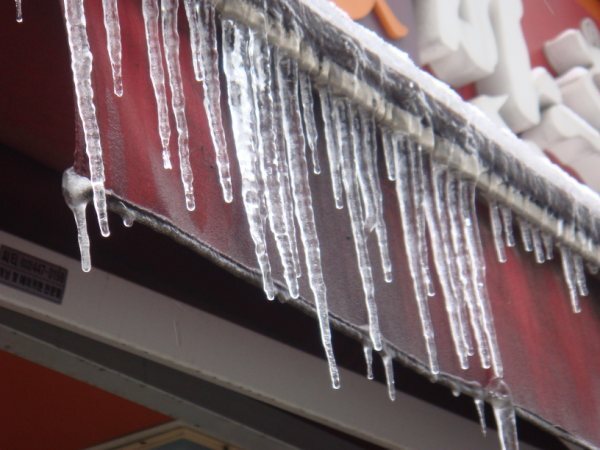 The work of this practice has received many prestigious architectural and industry awards. Andrew Scott is an associate of Candalepas Associates They have been teaching studio in the graduation year at UNSW for three years. The aim of this course was to elevate design excellence and disciplinary knowledge in architecture; abstract concepts until ‘materialized’ in a series of architectural propositions. We allowed ourselves (for a short time anyway) the opportunity to unlearn a little and to see and think a bit more freely about architecture, as if for the first time, with instinct and intuition and commitment. 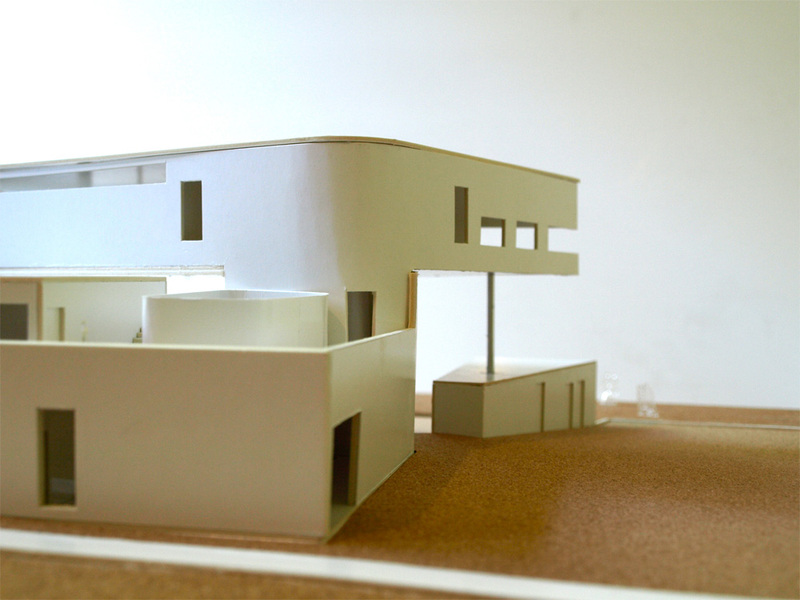 These ideas were explored via perspex and unpainted balsa models only. 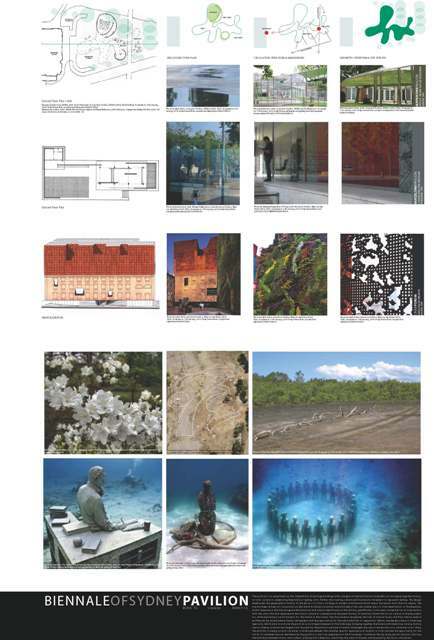 Each exercise dealt with a theme and was viewed through an article, the work of an architect or a specific building. 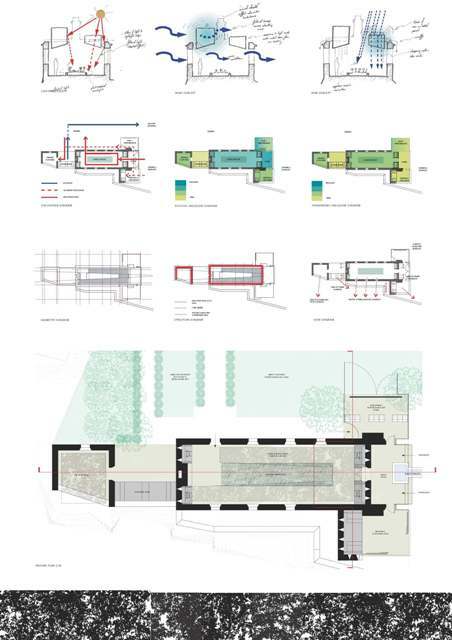 The studio continued to develop these architectural priorities in the second semester via the design of a new facility for the North Bondi Surf Life Saving Club. Neil Durbach and Camilla Block are partners in a small office established in Sydney in 1989. Neil is currently a visiting professor at UNSW. The practice has been the recipient of many prestigious industry awards and they both have extensive experience in architectural education. 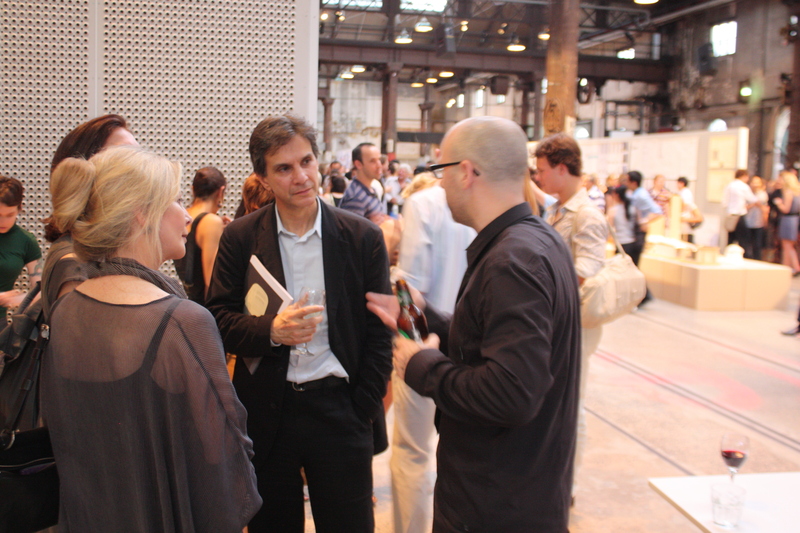 Neil was one of he curators of the Australian exhibition at the 2008 Venice Biennale. Graduates from the Master of Architecture program have worked with some of Australia’s leading architects on final year projects, which address the challenge of making Sydney more livable. 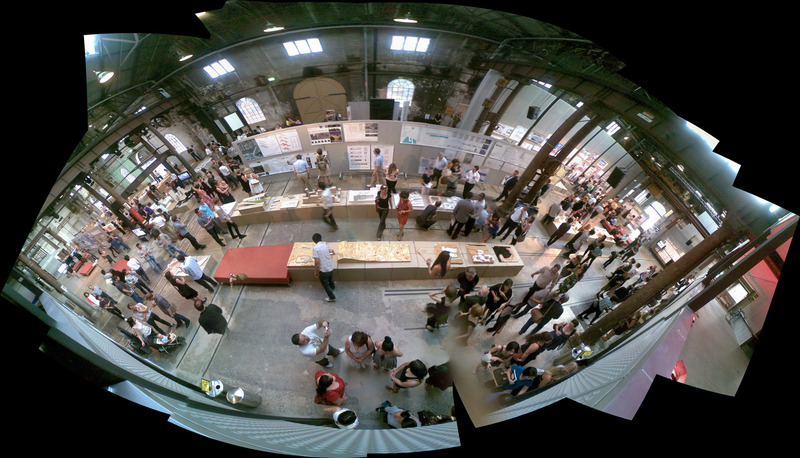 The exhibition featured projects from a diverse range of design studios with leading architects as our tutors including ‘public space in Sydney’, ‘a manner of making things, ‘materials, tectonics and detailing’ and ‘living in contemporary Sydney’. 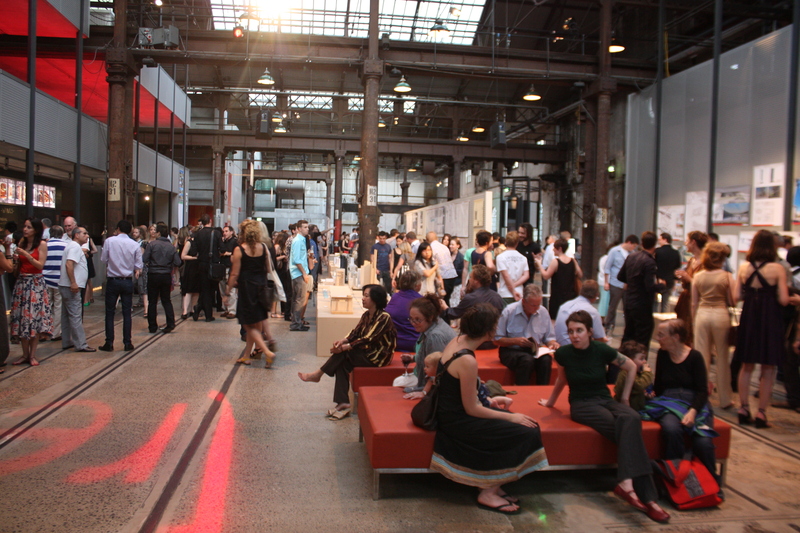 About 700 students, family, Friends, academics and professionals attended our exhibition opening night on Friday November 20th at CarriageWorks and more than 2000 throughout the week. There are about 100 unique individuals graduating this year. Each of us has been on an extraordinary journey, in search of our own special dream. Some of us have crossed oceans, some have lost loved ones and some have found a new love. But we all share the same passion. We all survived the ‘good’ crits as well as the ‘bad’ crits, worked endless hours into the nights and we have forged strong friendships that will remain for life. What seemed like a far away dream when we all began this journey, 5 or so years ago, is now a reality. We are all graduating with pride and joy. As you can see – Dreams do come true! This part of our shared dream has come to an end. Off we go, as others have done before us, on an adventurous path, with hope that it will lead us to success and fulfilment. But we are not only dreamers, we are also dream makers. And it is time now for us to make the dreams of others come true as well. On behalf of the 2009 UNSW Master of Architecture graduation year we would like to thank, our parents, partners, children, and friends: our lecturers, tutors, course convenors administrative staff and professional guests for bearing with us over the last five or so years, For helping us achieve what we have done to date and what we aspire to do in the future. 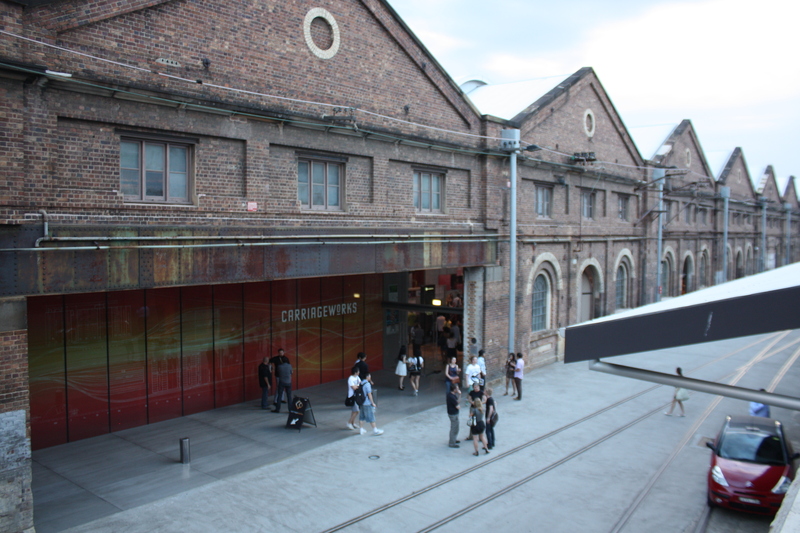 And finally many thanks to our sponsors and donors for making our graduation exhibition at CarriageWorks possible.